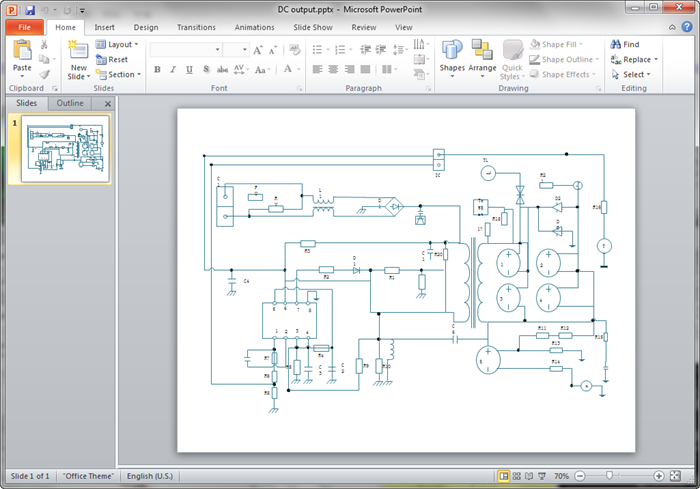 Create a circuit diagram for PPT with the least effort. Professional circuit diagram software allows users to make circuit diagrams for PPTX on both Mac OS X and Windows system. This tutorial will teach you how to make a circuit diagram and export to PPT file. 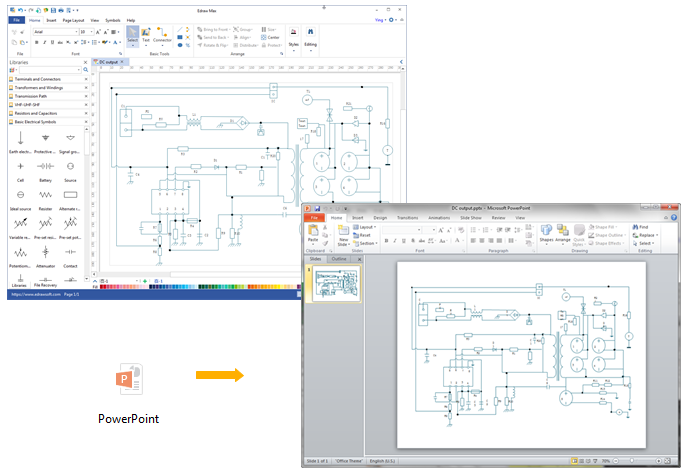 It's not easy to create a circuit diagram directly in PowerPoint - but you can try it another way - create in Edraw and export to PPT format with a single click. Edraw is popular circuit diagram creator used by many due to its effectiveness and practicality. No matter what devices you are using, Mac or PC, this cross-platform based software can work well and help produce quality circuit diagram instantly. Circuit diagram is a visual tool for describing an electrical circuit by use of conventional circuit symbols to provide a schematic diagram of the components and connections between them. The purpose of circuits diagram is to help electricians gain a detailed understanding of how the circuit works. Edraw lets you start quickly on Venn diagram design, and export to PPT file instantly with one button click. 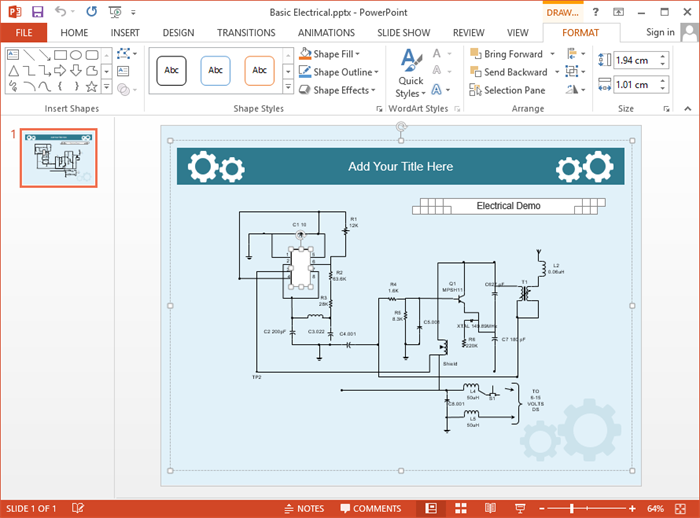 The circuit diagram maker is an easy-to-use schematic drawing application with tight integration to Microsoft PowerPoint. You can convert the EDDX file to PPT seamlessly. From File tab, choose Export and Send button and click PowerPoint to save your file as PPTX format. It supports PowerPoint 2010, 2013 and 2016 versions. The exported circuit diagram in PPT is still available to edit. You can modify the diagram directly in MS PowerPoint if required. Discover why Edraw is the best software to create circuit diagram. Try Circuit Diagram Software FREE.